With fine dust reaching unhealthy levels, the Seoul Metropolitan Government set out Monday to provide free-of-charge public transit during commuting hours to lower vehicle emissions. But the program failed to bring about a substantial drop in car use or ultra-fine dust density in the capital city. According to Seoul City, the number of commuters taking the Seoul Metro Line No. 1 to 8 experienced only a slight increase of 23,000 people (2.1 percent) taking the subway from the first subway train to 9 a.m., coming to nearly 1.1 million commuters total. The number of commuters by bus was also up only slightly, with an additional 3,500 commuters taking the bus during the affected times. Traffic analysis of 14 different points throughout the city showed an estimated decrease of 1.8 percent (2,099 vehicles). Critics of the transit program -- estimated to cost 6 billion won ($5.65 million) per day -- have charged that the free public transit program lacked sufficient notice ahead of time, especially as it was the first time it was applied. Cooperation from citizens remained low, as many drivers simply ignored the measures. 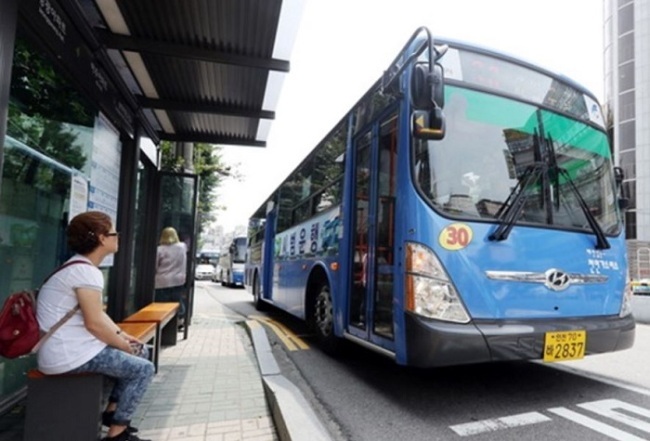 Questions remain for the Seoul Metropolitan Government as to what measures they will take next to surface from the non-successful free public transit program. Seoul, however, has decided to run the free transit program Wednesday during commuting hours as fine dust levels were forecast to be above the threshold.